Biniam is an experienced Engineering graduate from Eritrea. When he arrived in the UK, finding a job wasn’t his only challenge. He had to claim asylum, secure housing and seek financial assistance all at the same time. To add to these difficulties, he also found that his Eritrean Degree was not recognised in the same way by many employers in the UK. Most recruitment agencies wanted 3 years’ UK work experience and most graduate roles required UCAS points. In Eritrea graduates are allocated jobs when they finish their studies and candidates are not asked to present both their hard and soft competencies as they are in the UK – it is not expected of job seekers to push themselves forwards for roles that they want. Biniam realised that he needed to understand what UK employers were looking for and transfer his engineering skills to UK standards. When he came across Transitions on LinkedIn, he started using our services straight away. 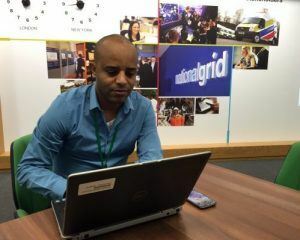 We invited Biniam to apply for a role with National Grid. He also supported workshops and received 1 to 1 support to assist him in his quest for fulfilling work. Via an internship and our support Biniam familiarised himself with UK business culture and how to effectively search for relevant roles. Biniam gained a first in his UK engineering master’s degree and now has a well paid job with great prospects. 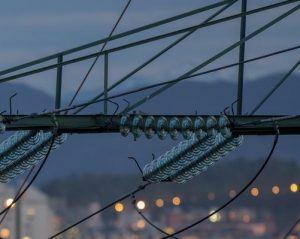 National Grid are an international electricity and gas company based in the UK and US. They employ 12,000 people in the UK in technical, commercial, business, finance and communications functions. Delivering clean energy now and in the future is one of the greatest challenges facing society. How can the UK deliver low carbon energy affordably, securely and sustainably? How can it meet growing energy needs while cutting greenhouse gases by 80% by 2050? To meet these complex challenges, National Grid need a skilled and diverse workforce. National Grid implemented a menu of five refugee inclusion interventions as part of their recruitment strategy.